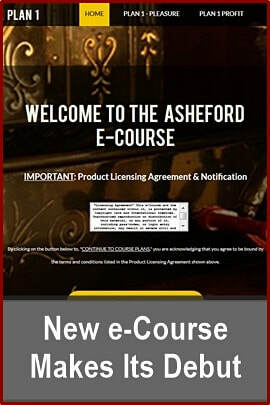 See the Asheford Course Outline for learning about Antiques & Vintage items, as well as becoming a "Certified Appraiser"
If you'd like to see a brief one minute informational video to get an idea of what our school is all about, just click on the "play" button in the middle of the screen to the right - it's a great way to quickly peruse some of the highlights about the Asheford Program. Why Take The Asheford Program? 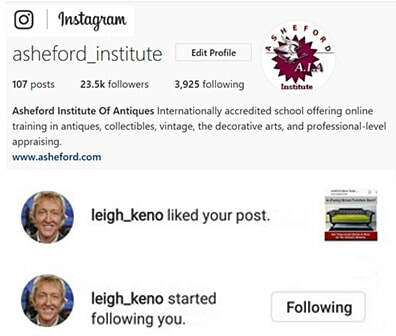 Whether you're interested in becoming an antiques & vintage dealer, a certified appraiser, or simply want to expand your knowledge base of the decorative arts, the Asheford Program can get you there. 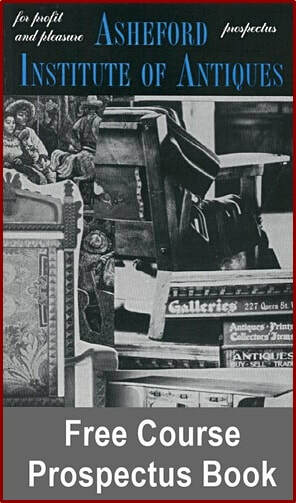 With graduates working across the globe in such fields as professional-level appraising, auction-house specialists, curators at museums, or antique dealers and estate sale liquidators, we know what works. So, if you're embarking on a new career, or it's time to make a change, then read on... as the largest antique and appraisal school of its kind, our Program can show you how to succeed in this lucrative and interesting profession.